"Skyfall"–The Best Bond Film of All? 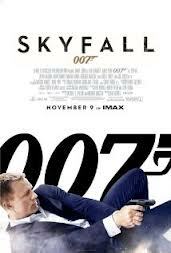 “Skyfall,” the new James Bond film, is more realistic and believable than any Bond film I’ve seen. It is also much less cavalier in its attitude toward morality and womanizing than we have come to expect from the various Bond films. I actually liked it and recommend it, especially if you like action and espionage as much as I do. I have not read the Ian Fleming novels, upon which the various Bond films are supposedly based, but those who have read the books assure me that this film is a lot closer to the true character of the books than the Roger Moore-era Bond films. Daniel Craig is superb and thus is clearly the most believable and likable of all Bond characterizations. And Judi Dench masterfully plays her role as the leader at MI5. In addition to these fine performances Academy Award winning actor Javier Bardem (“No Country for Old Men”), is a superb villain named Silva. Silva is a former MI5 agent and becomes the ultimate tempter. He does a number on Bond’s weariness before he finally releases his long-planned assault on his former homeland and employer. As in all James Bond films there is plenty of action here, with lots of spectacular explosions, fights and chase scenes. (Again, these are exciting but also much more realistic.) But “Skyfall” is more about psychological conflict than it is about international intrigue. At what point is loyalty merely blind stupidity? How do childhood tragedies mold us? What distinguishes the amoral pragmatism of Western powers from the ruthless attacks of radical terrorists? Has technology blinded us to the fundamental issues at stake? Should British agents express emotion? Is it really right to blow up one’s childhood home and then express grim satisfaction in doing so?